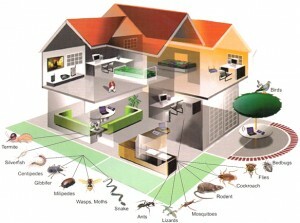 Why It Makes Sense To Go For A Building & Pest Inspection? Property Investment: Have You Made The Right Choice? When you have decided to make an investment, then you always want something which is worth your hard-earned money. You don’t want to buy products or services whose value is not worth or which doesn’t give you the benefit that it promised. Therefore, it always makes sense to examine the products and services carefully before you make any purchase. This is also the same principle which you should follow when you are looking for a new property, either it can be a residential property or a commercial one. What you should remember is that the real estate market is full of offers that will definitely grab your attention. Some of the investments are really worthwhile and some of them won’t be too attractive. Hence, you need to be a little careful. One of the very first tasks to do when you are buying a property is go for a building and pest inspection. If it’s an industrial property, you should go for industrial pest control.This is one of the very first services for the families or individuals who want to ensure that they have invested in the right property. The pest inspection will assure that the property is pest free and it is free from any kind of damage. Most of the times, sellers don’t tell you about the real condition of the real estate property because they just want to sell the property in the market. Needless to mention, they want to earn the profits. And this is one of the major reasons why they will only speak about the features of the property. If you randomly choose a property or get excited with the offer, you might have to spend a lot of money on the repairs. Go for industrial pest inspections when you are investing in a commercial or industrial property. Keep all these excellent tips in mind to choose the best property. Previous PostUnderstanding The Need To Go For An Immediate Building Pest InspectionNext PostHow To Put An End To The Cockroach Problems?